Corrie's Fiz to give baby up for adoption? Coronation Street's Fiz Stape is to give up her baby daughter for adoption. With the terrified factory worker currently behind bars awaiting trial for her involvement in evil husband John Stape's (Graeme Hawley) killing spree, Fiz sees giving the tot to friends Hayley and Roy Cropper - played by Julie Hesmondhalgh and David Neilson - as the only way to guarantee her a good future. 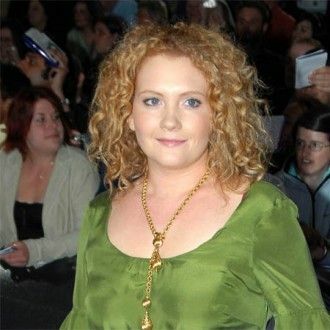 Although frantic Fiz (Jennie McAlpine) is allowed to keep baby Hope with her in the prison's mother and baby unit, she is convinced she will be locked up for life and begs Roy to care for her as his own. She tells him: "I just want Hope to have a good life and I can't give her that anymore. I never want her to know who her real mum is and what I have done. I want her to grow up thinking she's your daughter. "I want you to promise you'll never tell her anything about me." According to the Daily Star newspaper, as it emerges Fiz has lied about her involvement with the deaths of Colin Fishwick (David Crellin), his mum Joy (Doreen Mantle) and crazed teacher Charlotte Hoyle (Becky Hindley), she accepts she could be facing a long future behind bars. Fiz tells brother Chesney (Sam Aston): "I've lied about the murders and I've lied about the money I stole from Colin's mum. I'm going to be in prison for a long time and I don't want Hope growing up in a place like this. "My poor cellmate even committed suicide this morning."